Combine brownie mix, 1 egg, and water in a large mixing bowl. Melt caramels in milk over low heat in a heavy saucepan, stirring constantly, until it reaches to a smooth consistency. 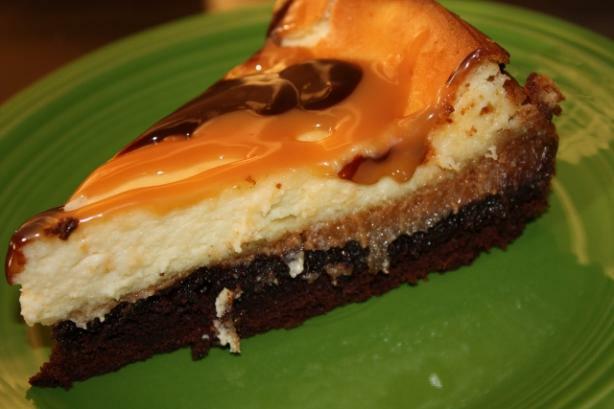 Pour this caramel mix over the warm, baked brownie crust, reserving 1/3 cup. Beat cream cheese, sugar, and vanilla together with an electric mixer until smooth. Add the remaining 2 eggs, one by one, and beat well after each addition. 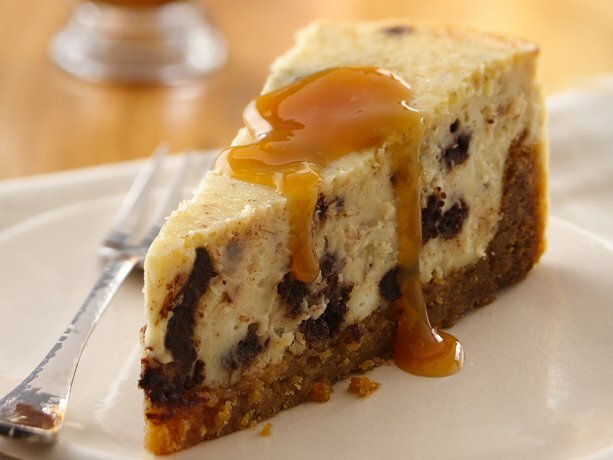 Pour this cream cheese mixture over the caramel mixture and bake for 40 minutes. Chilled thoroughly and remove from the pan (loosen the edges by a knife). Heat reserved caramel mixture and spread over the cake. Pour the chocolate fudge topping all over and spread evenly.